The experience was much more than pleasant. The home was comfortable, it was well decorated and kitchen tools we’re readily available. An extra was the camp came with 3 kayaks and a canoe. There were paddles and vests. The lake and fishing were excellent. The owner is a good communicator. I wish to thank you for your kind words. 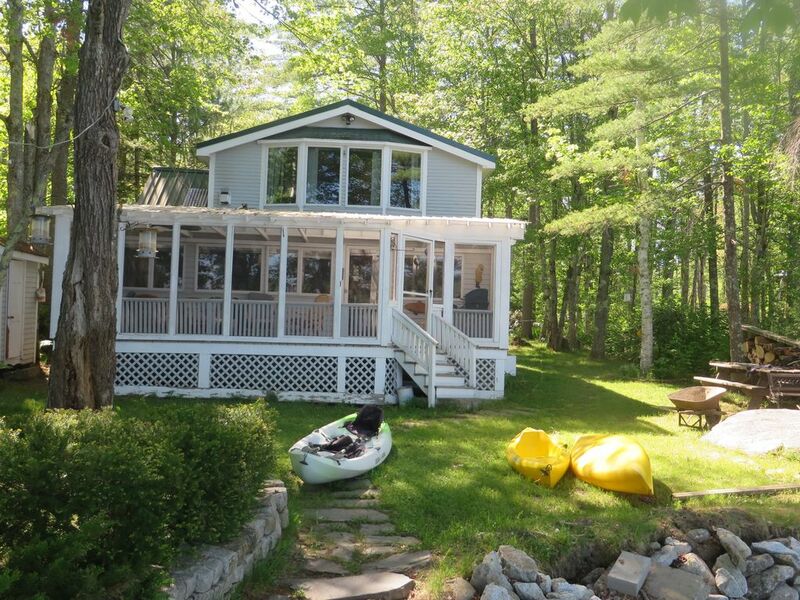 I am very happy you and your friends enjoy King's Kastle. .
Beautiful location and view of Salmon Lake. Great for our family vacation. King Kastle was great for our family. Lots of fishing, boating and catching bass. Porch was delightful to relax and enjoy the,beautiful lake. Very well equipped for cooking. Master bedroom was great! Thank-you for your great thankful response. It was everything that it said it would be and more. We had a great time. The view from the upstairs bedroom was breath taking. Daily Kayak rides added a beautiful perspective to the lake. We didn't want for anything.